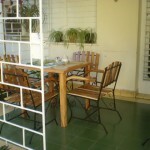 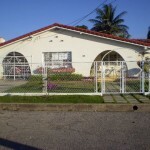 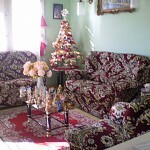 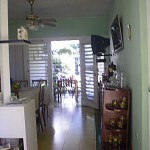 This house, located in the residential neighborhood Punta Gorda, is only 25m from the see. 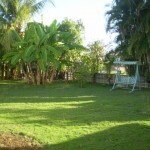 It has a peaceful ambience and a lovely garden from where the traveler can have a wonderful view towards the see. 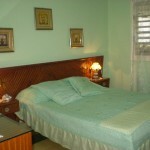 The rooms are independent which allow the travelers the privacy and comfort they need. 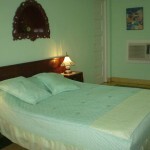 Each room has a double bed and one more bed or cradle could be added on request. 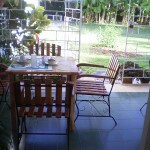 This beautiful house has great open spaces for the traveler to relax while having a sip of coconut water right from the coconut palm in the terrace. 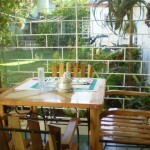 The family will also prepare delicious meals, breakfasts and cocktails for the traveler and they will make you feel as part of the family.